You have a friend in Dr. Scott Olson. Because he’s been in your shoes. Nearly 25 years ago, failed mainstream medical treatments left Dr. Olson in constant pain – and his health in ruins. And that’s when he did something REVOLUTIONARY. He began his career in medicine – and dedicated his life to uncovering the true, underlying causes of disease. Through his innovative medical practices in Tennessee and Colorado, Dr. Olson has helped cure countless seniors from across America of arthritis… heart disease… diabetes… and even cancer. All without risky prescription drugs or painful surgeries. 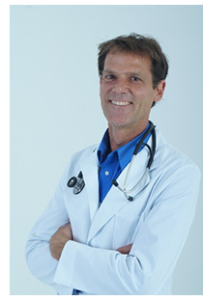 And he’s published training materials that have educated a generation of doctors on safe, natural cures. Now, you can have access to all of Dr. Olson’s latest breakthroughs in each issue of Living Well Daily, his FREE daily e-letter. Each day, Dr. Olson will deliver straight to your inbox his latest tips for curing chronic disease and enjoying perfect health… no matter your age. To start receiving Living Well Daily – and to get access to Dr. Olson’s life-saving discoveries years before the mainstream catches on – just enter your email address below. Inside this free report, you’ll discover how everything you know about saturated fat is categorically FALSE…why beef is the new superfood, and…the absolute worst foods to eat (and the surprising alternatives). 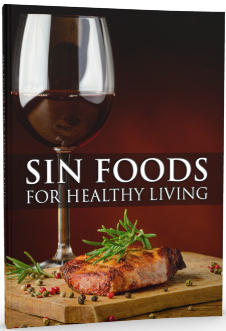 Just enter your email address below and you’ll get instant access to Sin Foods for Healthy Living and a free subscription to our health e-letter, Living Well Daily.